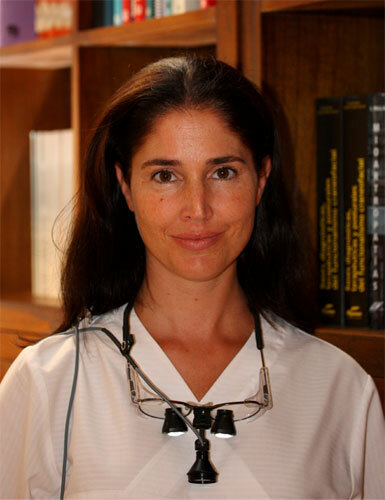 Dr Liliane Wallner has a Bachelor of Science in Dentistry from the University of Barcelona UB (Spain, 1999) and a Master of Science in Implants: Surgery and Prosthesis from the International University of Catalonia UIC (Spain, 2002). Dr. Wallner has an advanced education and training in various specialities of dentistry, acquired at national and international centres of excellence: Postgraduate Diploma in TMJ Temporomandibular Joint from the University of Barcelona (Spain), Postgraduate Diploma in Dental Aesthetics from the University of the Balearic Islands (Spain) Postgraduate Diploma in Clinical Periodontology from the University of Gotheburg (Sweden). With the purpose of incorporating the most recent advances in Dentistry, Dr Wallner has participated in specific training programs in advanced techniques in Implants, Aesthetics, Prosthesis and Endodontics with world experts in each field.